In today’s digital age, there is one thing technology can’t replace: personal communication. Though virtual marketing has changed the game dramatically with the rise of social media, it can’t fully replace the value of face-to-face marketing. What Is Face to Face Marketing? Face-to-Face Marketing (F2F) is the act of directly marketing to potential customers through in-person communication. As a branch of field marketing, it encourages meaningful brand-positive interactions through client meetings, sales events, product demos, in-store visits, and event attendance. Face to Face marketing is sometimes used synonymously with experiential marketing.However, this form of marketing is more focused on events. Here’s why face to face marketing still matters: no Tweet, Snap, or chat can ever replace a real human connection. F2F marketing is all about visibility and trust. Countless studies have shown the resilience of F2F marketing in the digital age. Here’s a snapshot of some of the key findings over the past decade supporting in-person marketing. Though it has survived the test of time, F2F marketing has evolved as brands continue to up the stakes. Though we like to think our most important decisions (especially those involving money) are rational and thoroughly planned, the fact is we are often swayed by our emotions. 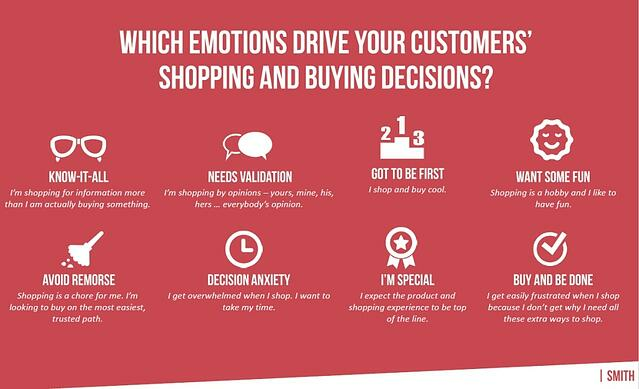 SMITH, an experiential commerce agency, conducted a study that found shoppers experience a range of eight emotions that influence their purchasing decisions. For nearly 20 percent of those surveyed, ”needs validation” is the most common emotional state. These shoppers walk a line of indecision and need help taking the leap to purchase. They are curbed by doubt and fear of making the wrong decision. The solution? A positive face-to-face marketing interaction. A confident voice of reason and reassurance is the ultimate validator. A few words of reassurance about a product coupled with a personal anecdote help customers feel confident about their purchasing decisions. We can’t stress the importance of brand education enough. For field marketers to be a sound source of information for timid buyers, they need to be armed with a full artillery of knowledge. The best way to prepare for potential face to face marketing interactions is to practice. This sounds counterintuitive. But the truth is that people don’t like to be sold to. Hard sell tactics often feel invasive, aggressive, and off-putting -- especially when they’re up close and personal in a face-to-face marketing situation. Soft selling, on the other hand, is more conducive to long-term relationship building. It places an emphasis on the customer rather than the product, making people feel valued and significant to your brand. Not to say that soft selling is the only or even best way to market a product -- but it’s important to know which tactic is appropriate at what time. It’s best to start a face-to-face interaction with a gentler approach similar to a soft sell. Don’t launch right into facts and figures about your product. Instead, get to know the person on the other side of the conversation. Learning about a potential customer’s pain points can help you better match your product to solve those needs. The best salespeople have a deep understanding of human interaction. There are a number of resources out there on the psychological side of sales. We recommend Brian Tracey’s book, The Psychology of Selling: Increase Your Sales Faster and Easier Than You Ever Thought Possible, which boasts consistently high reviews online. According to Masterful Marketing, a strong brand identity makes your company look bigger, builds loyalty and trust, conveys stability, and shows commitment and personal pride. A strong brand identity shows that you’re legitimate. Though most companies know this, and pour marketing dollars into visual brand identity, the messaging can be lost on individual marketers in the field. It’s vital that your brand identity extends beyond just the look and feel of a website or package. Field marketers must be fully trained on the company’s values, mission statement, and messaging. Cheesy but true: you must be able to walk the walk and talk the talk. Especially now, with Millennials demanding more than ever from brands, it’s essential to be on your game. Entrepreneur recently looked at how Millennials signal personal identity through brands and preference. In other words, consumers want to align themselves with link-minded brands -- this is how we define who we are. There is no better way to establish this relationship than through face to face marketing, making it crucial for representatives to fully and authentically embody brand values. Create a list of brand values and detail how you can personally follow them. Think about how you can inject these values into natural conversation. Tie in your face to face marketing with your digital marketing to maximize both channels. The best way to do this is to capture special moments in real time and share them online. Check out this list HubSpot pulled together of the coolest experiential marketing campaigns. Though these campaigns are awesome -- especially Google’s Building a Better Bay Area -- the key point here is that they are all shareable. Each event can be posted online and experienced second-hand by more people, amplifying each campaign’s impact. EventTrack performed a study in 2015 showing that 72% percent of consumers say they positively view brands that provide great experiences. Sharing these instances online through social media allows more consumers a chance to positively view your brand. Marrying the two forms of marketing is the best way to maximize both. Get into the habit of snapping photos and writing down memorable quotes at all field marketing events. It helps to have a CRM equipped with photo tagging to easily organize content to post on social media. Though robots may be coming to slowly take over our job market, it looks like face to face marketers will be spared. Take advantage of the opportunities in-person conversations allow and align your values across all marketing channels. Elise is a Content Marketing Journalist at Repsly, Inc., currently studying public relations and political science at Boston University. Outside of work, Elise can be found drinking Health Ade's Pink Lady Apple kombucha and catching up on the news.